This World Wildlife Day, the Critical Ecosystem Partnership Fund (CEPF) helped let the world know it's time to get serious about wildlife crime. Since 2000, CEPF has helped more than 1,900 civil society groups implement diverse projects to safeguard the world's biodiversity hotspots – areas that harbor 90 percent of the biological diversity of the planet. The intact remnant habitats of the biodiversity hotspots represent just 2.3 percent of the Earth's land surface, but they support nearly 43 percent of endemic – those found nowhere else – bird, mammal, reptile and amphibian species. CEPF grantees are safeguarding species through the preparation and implementation of species recovery and management plans, efforts to address unsustainable and/or illegal trade, and research on population status, ecology, conservation strategies, propagation and captive breeding, as well as monitoring. For example, through CEPF's investment in the Indo-Burma biodiversity hotspot (which includes portions of Cambodia, Vietnam, Lao PDR, Thailand, Myanmar and China) that began in 2008, 49 core populations of 33 globally threatened species were secured from overexploitation and illegal trade, with 17 populations stabilized or increased. Below are a few of the species that CEPF grantees are working to protect around the world. CEPF support to WWF from May 2010 to August 2012 aimed to secure core populations of Critically Endangered saola (Pseudoryx nghetinhensis) by addressing immediate threats and developing economic alternatives to hunting, which poses the greatest threat to the species. CEPF also provided funding for forest guard patrols to remove snares in protected areas, including the site where the saola was recently photographed by WWF. "Since 2011, forest guard patrols in the CarBi (Carbon Sinks and Biodiversity Conservation) area have removed more than 30,000 snares from this critical saola habitat and destroyed more than 600 illegal hunters' camps," said Van Ngoc Thinh, WWF-Vietnam's country director. "Confirmation of the presence of the saola in this area is a testament to the dedicated and tireless efforts of these forest guards." The recent sighting of a saola confirms the species still exists in the wild, but scientists don't know enough yet to estimate the total population. 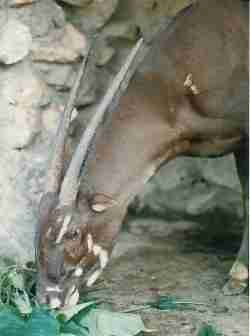 According to the IUCN Red List, the number of saola in the wild is likely less than 750, and likely much less. "This is a historic moment in Vietnam's efforts to protect our extraordinary biodiversity, and provides powerful evidence of the effectiveness of conservation efforts in critical saola habitat," said Dang Dinh Nguyen, deputy head of Quang Nam Forest Protection Department and director of Quang Nam's Saola Nature Reserve. Protecting the habitat that is home to the saola is essential to its survival, as well as to the survival of other rare species that are found in the Indo-Burma biodiversity hotspot. It will also ensure forest conservation and can empower the communities who depend on these forests for livelihoods, food, water and more. According to the United Nations Environment Programme, the number of African elephants killed annually is in the range of 20,000 to 25,000 per year out of a population of 420,000 to 650,000. Community-led solutions can help tackle wildlife crime and conserve threatened populations. With support from CEPF through our investment in the Eastern Afromontane biodiversity hotspot, Eduardo Mondlane University is training local natural resource management committees so they can participate more actively in the implementation of the management plan of the Chimanimani National Reserve in Mozambique. This involves establishing effective measures to mitigate human-elephant conflicts, including chili production around banana fields. The produced chili is expected to supply markets and contribute to income generation for local households. In Southeast Asia, the Endangered Asian elephant (Elephas maximus) is threatened by extinction in the wild due to rapidly growing human populations. According to WWF, "Confrontations between elephants and people often lead to deaths on both sides, and poaching for ivory, meat and hides is still a widespread problem." With support from CEPF through our investment in the Western Ghats Region of India, Dr. Prachi Mehta (executive director at Wildlife Research and Conservation Society, an NGO based in Maharashtra, India) coordinated a pilot study for mitigation of human-elephant conflict in affected areas of northern Karnataka and southern Maharashtra. This area is the northern-most limit for Asian elephants in the Western Ghats. Human-elephant conflict in this area is expected to rise due to an increase in irrigation for sugarcane cultivation and summer paddy cultivation. Through the project, the concept of community-based conflict management (CBCM) was introduced to empower community members in effective guarding methods and in reducing crop loss while supporting actions to protect and conserve wild elephants in the area. Community members implemented mitigation measures including night guarding, early warning measures and low-cost elephant deterrents such as battery-operated torches. The project also initiated a monitoring and advance warning protocol for elephant movement in the area; and produced a map of elephant movement based on information provided by field staff and farmers in the area. Based on the initial results of the project (outlined fully in the final report), the project was extended with the support of the Asian Elephant Conservation Fund and the United States Fish and Wildlife Service. 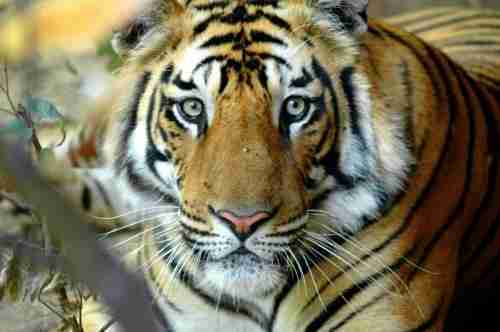 According to the IUCN Red List, Endangered tigers (Panthera tigris) once roamed widely across Asia, but they have lost more than 93 percent of their historic range over the past century. In the Sundaland biodiversity hotspot (which covers the western half of the Indo-Malayan archipelago in Southeast Asia, including Borneo and Sumatra), CEPF grantees worked with local partners to conserve large tracts, or corridors, of lowland and montane forests, which are home to many species, including orangutans, elephants and tigers. With support from CEPF, the Save The Tiger Fund (STF) coordinated a three-year initiative called the Campaign Against Tiger Trafficking (CATT), aimed at catalyzing an organized response to stop illegal tiger trade. From 2005-2008, key stakeholders, including tiger range states and others CITES Parties, worked closely with the CATT campaign and passed a CITES decision calling for a ban on captive breeding of tigers for trade in June 2007. The STF project also supported strategic actions for increased patrolling, intelligence gathering, law enforcement, capacity building, and community engagement to reduce poaching and demand reduction. Grants were made to CEPF focal areas in Bhutan, Nepal and Sumatra, and other tiger range countries, including Russia, India and Malaysia to address human-tiger conflicts and develop sustainable mitigation measures. Bhutan established a compensation fund to pay local community members for the loss of livestock to tigers in exchange for not taking retaliatory actions against tigers. In Sumatra, STF supported training of local officials in the capture and release of problem tigers. The project was successful in building unprecedented alliances for tiger conservation, including the International Tiger Coalition and the World Bank's Global Tiger Initiative – both of which continued their allied activities for wild tigers after the CEPF funding period ended. 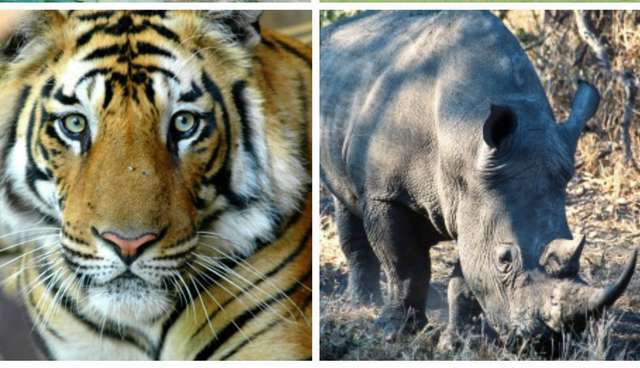 These alliances directly support the sharing of information and collaboration of local and international organizations for tiger conservation. Read more about the project here. 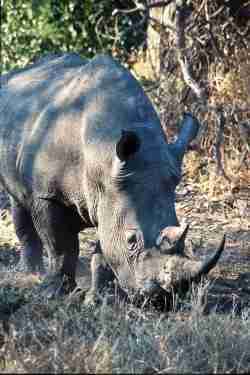 CITES reports that 1,215 rhinos were poached in South Africa alone in 2014, which means that one rhino is killed every eight hours. Increasingly, organized criminals are directly profiting from rhino horn, which is prized in some Asian countries for use in traditional medicine and as a status symbol. With funding from CEPF through our investment in the Indo-Burma biodiversity hotspot, the Wildlife Conservation Society (WCS) supported the conservation of wild rhinos in Asia and Africa by tackling the illegal trade and consumption of rhino horn in Vietnam, improving understanding of the illegal trade and increasing domestic media coverage. Approximately 90 participants from the provincial judiciary, courts and prosecutors from Ho Chi Minh, Hanoi and Nghe An attended two prosecution workshops to increase their understanding of national wildlife protection laws and international treaties, illegal rhino horn trade dynamics, and the impact of these crimes on Vietnam. WCS also held two journalistic trainings attended by 22 government officials and 38 journalists in Hanoi and Ho Chi Minh. After the training, 26 articles were published by training participants on the illegal rhino horn trade in Vietnam. More information on these trainings, as well as additional results from the project, is available here. Education for Nature-Vietnam mobilized Vietnamese citizens to participate in efforts to tackle the wildlife trade and supported enforcement by government agencies by developing a national volunteer network, strengthening a national wildlife trade hotline and securing long-term financing from corporate and membership donations. Fauna & Flora International mitigated threats to wildlife populations within Nakai Nam Theun National Protected Area by strengthening the capacity of law enforcement agencies in Vietnam's Ha Tinh Province, promoting transboundary cooperation between local government officials, and enhancing awareness through media promotion. Wildlife Alliance, Inc. addressed the cross-border trade of wildlife from Cambodia into Vietnam by facilitating inter-agency collaboration and information exchange and supporting the establishment of a coordination unit for the ASEAN Wildlife Enforcement Network focal point to allow Cambodia to participate more effectively in regional and global initiatives to combat illegal wildlife trade. These are just a few examples of CEPF-supported projects that are establishing community-based actions to reduce illegal wildlife trafficking in the world's biodiversity hotspots. Learn more about CEPF, and additional projects assessing human-wildlife conflict, mitigation measures and more on our website.